No question. Being a priest is tough. I have such limitless respect for those men who take on not just the priesthood, but also serve as military chaplains. I found this story while reading this morning. US Army, Major, Retired Chaplin Henry Tim Vakoc was wounded in Iraq two years ago. His progress has been slow but miraculous. Last week while driving to CCD I was listening to NPR (sometimes it infuriates me, sometimes it pleases me, that day it did both) After listening to a very infuriating segment I heard this: From Chicago to Anbar: A Chaplain’s View of War. Fr John Barkemeyer tells about war, how he serves and a little bit about those he serves with. It is intense and well worth listening to on its own, but the previous interview with Brian De Palma was sad and really just left me wanting to spit. De Palma reduces his characters to stereotypical caricatures and his descriptions of the men serving made me wonder if he has bothered to speak with anyone actually who has been there. I was frustrated. Yeah, I hate the war too, but I am with Fr Barkemeyer — it doesn’t matter at this point why we got into Iraq. We need to support our troops so they can do their jobs as safely as possible and we are morally responsible to help “give the people in Iraq the best possible chance of salvaging their country and salvaging their lives” . It is their country and they will have to come up with the ultimate solutions, but you can’t just walk in, turn everything upside down and then leave — to do so would be dishonorable and dangerous as we saw with the USSR and Afghanistan. 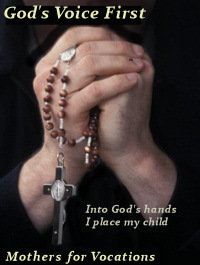 You are currently reading The priesthood is tough at Simply Catholic.